This resource is a card game for learners who are beginning to distinguish between different homophones (words that sound alike but look different and have different meanings). It contains 7 pages. 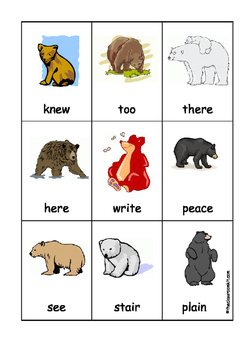 There are 18 pairs of homophones on 36 cards, and another 18 special cards. Instructions and a check card is included to support learners in being self checking. 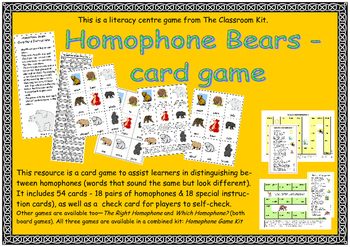 This game is also included in the combined set: Homophone Games Kit.